Jack spent three years working in each of these sectors of Kenya through the college he led and the networks he served. But he didn’t stop there as he took the TOW message and his dream for Africa to schools, denominations and leadership networks in Tanzania, Rwanda, Burundi, Ethiopia and DR Congo. One of the places he went to teach shortly before he unexpectedly died was Eben-Ezer University of Minembwe (UEMI) located near Uvira DR Congo. This Christian University was being developed by the children of pastors and Christian leaders who had been sent to other countries by their parents to escape the massacres their parents and other Christian leaders experienced a couple of decades earlier at the hands of rebel groups in this rural, isolated, and unstable region of eastern DR Congo. The founding president of the university, DR. LAZARE R. SEBITEREKO, listened to Jack Mboya’s four day course and that was enough for him to catch Jack’s version. I encourage you to take the time to read Lazare’s remarkable story of the impact TOW has made in the land that he and God love and steward together. I don’t doubt like the story in Acts 8, Jesus and Jack are giving the people of Minembwe a standing ovation. TOW and Bakke Graduate University in my country is a result of modern technology. The connection started from the Internet search that I took one evening and the ensuing telephone communication between Lowell Bakke and myself. When God is at work, I have learned it is best when all things obey Him and co-work with Him. Following my conversation with Lowell; I also spoke with Dr. Gwen Dewey about TOW while we were both attending Lausanne in Cape Town, South Africa. Later, on my way back from Alaska, the three of us met in the Seattle airport and discussed together a plan for developing TOW in the Congo. It was a year later that I first physically met the Rev. 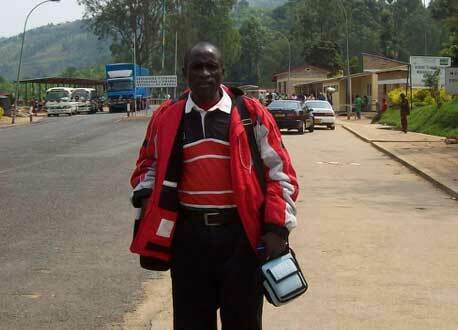 Jack Mboya in Burundi, when he came to teach TOW in DRC! The story of TOW at Eben-Ezer University goes far beyond its impact on campus. From 2010 to 2016 a total of 2173 participants graduated from TOW Courses in Burundi and DRCongo. A total of 703 men and 392 women have engaged in TOW courses in Burundi, and another 732 men and 346 women completed courses in DRCongo. But the indirect number of beneficiaries of this training goes far beyond these participants as many denominations benefited from the training including: Anglican, Baptist, Pentecostal, Catholic, Free and United Methodist, Friends, Assemblies of God and African Revival Churches. Local associations, school staffs, and university staffs also participated. We also had several radio broadcasts in Burundi and the Congo focusing on TOW and a magazine in the biggest daily newspaper in Burundi le Renouveau wrote about what we were teaching and doing. To know the estimated number of people reached with the message of TOW is interesting. At least 80% of participants in our courses lead more than 600 people in their churches. Some pastors have congregations of more than 1000 members. The message is being continually passed on through various initiatives in churches and communities. The first trainings we organized were very informative to us as we did not know how people would perceive these teachings. Equipping students with important information about the protection and preservation of the Environment. "After my participation at the work seminar, it was a wakeup call from deep sleep and despair. I never knew that a refugee can own her/his life. But, I decided to go and look for something to do. I shared with my husband, who had been out of job for nearly 10 years, the message of work and proposed to him to help me get money to do a business. He laughed at me and refused saying that I had not done it and am not able to do it today. I went and borrowed fifty dollars (US $50) from a money changer. I immediately started; it was as if I was being pushed to an urgent mission, I could not get rest until I started. I bought and sold women clothes. The $50 was enough for 4 clothes orders and their transport to me. Without telling all the story; today I own a shop for food stuff and women clothing with my own capital of more than $2000. I feed my family, pay school fees for children. I am a preacher of this gospel”! Lisa and her family moved back to DRC at the end of 2015. Theology of Work is also a source of reconciliation. The essence of TOW is its practicality. In 2014 Eben-Ezer University, local armed forces, police and local administration in Minembwe decided to work together for peace reinforcement and environment protection through communal work; commonly known locally as “salongo”. Saturday mornings were dedicated to this work. 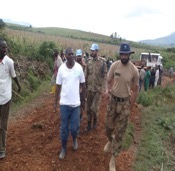 UN peacekeeping troops and an Italian non-profit organization working in the area also joined. 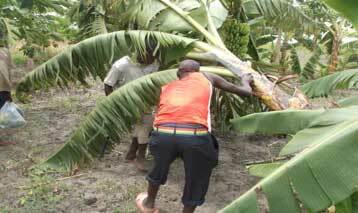 Rehabilitation of small roads have been done, trees are planted and village cleaning activities are carried out. Under partnerships with different organizations and churches, UEMI started initiatives of involving youth from a young age in theology of work activities. This included a Annual Youth Summer Camp where tree planting, sports and spiritual edification were taught. 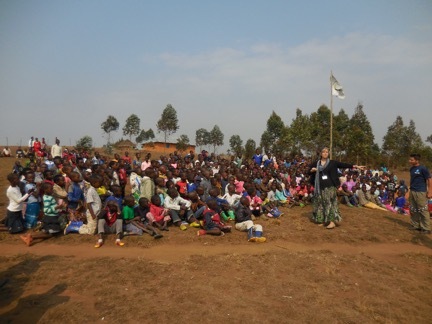 UEMI created bilingual primary and secondary schools whereby they use both French, English and Swahili which are the commonly spoken in Eastern DRC. 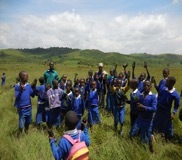 A total of 150 children are enrolled in 6 classes at present. In 2015, under the partnership with Cornell University and LaOlam Ministries, UEMI hosted students from American, Israeli and Burundian universities. 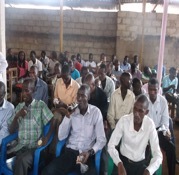 About 200 youths and school children attended a two week long session. As a result of the camp, beyond students from our school, other schools are also getting interested in tree planting and school gardens. In July 2016, we had yet another summer camp. We expected not more than 250 youths. To our surprise, 1030 youth participated! We were overwhelmed; classrooms were full and some students held their classes in the open outside. We learned that efforts of teaching young people to explore their talents and using those talents is making a profound impact. One child told his parents that he wanted to go to Eben-Ezer University camp. When the parents wanted to know why, he said, “… they teach a new language”. Theology of Work may use ordinary language but with new meaning. Eben-Ezer University partnered with local churches, other universities and other institutions to carry out its integrated approach to community transformation. Theology of Work is so inclusive. In Burundi, Floresta Burundi/Plant with Purpose, which I also served, was central in this program. At the end of the training, certificates are offered to participants and media (radio and newspapers) tell their stories. In the future, we would like to use social media as well (Facebook, WhatsApp) to reach more people about the message. Theology of Work may use ordinary language but with new meaning. Eben-Ezer University is committed to carry the vision of hope to the coming generation through its 10-year Vision 2025 of Eben-Ezer University of Minembwe combining academic and community development programs in this remote region of Minembwe. The program aims to reach 3 districts (Fizi, Mwenga and Uvira) with an area of more than 5000s.q km and about 250,000 people. At least 90% of the populations are Christians. The area has more than 100 parishes with about 210 local churches divided into 2 mainstreams Christian churches, namely Catholics and Evangelicals. Among Evangelicals there are Methodist churches, Pentecostal and African Revival Churches, Christian Ministries and Associations led by youth and women groups, primary and secondary schools and a university. In its community development programs, Eben-Ezer University is getting involved along with other partners on rural hydroelectric power production for further development. Two projects include a pipeline on Katobo Dam which was initially built to irrigate sugar plantations in the Plaine of Ruzizi, Uvira District, of South-Kivu, with the potential to produce electricity. But the electricity production of this project was never carried to completion since the project was stopped in 1960. The concept note for a new feasibility study was done under a partnership with Songa Energy Burundi. The other dream it to take on the project of electricity production in Minembwe, using solar, wind or hydropower energies. Our University is a leading institution in the rural development strategic plan of Minembwe supervised by the Provincial Ministry of Planning of South Kivu. We are also working on microfinance project for Minembwe communities who live with no banking system and many more initiatives. The University is also planning work with Bakke Graduate University and Mustard Seed to do TOW curriculum for primary and secondary schools in 100 primary and secondary schools in Minembwe rural villages. It has been a joy for the TOW grant program to work with Dr. Sebitereko and the University’s incredible capacity to rebuild a region of the DRCongo that for years has been decimated by conflict and isolation. This is a school that has used the tools of TOW to begin the transformation process by making the Kingdom of God visible in very practical and powerful ways. Thank you Lazare for making your story available for all to read.